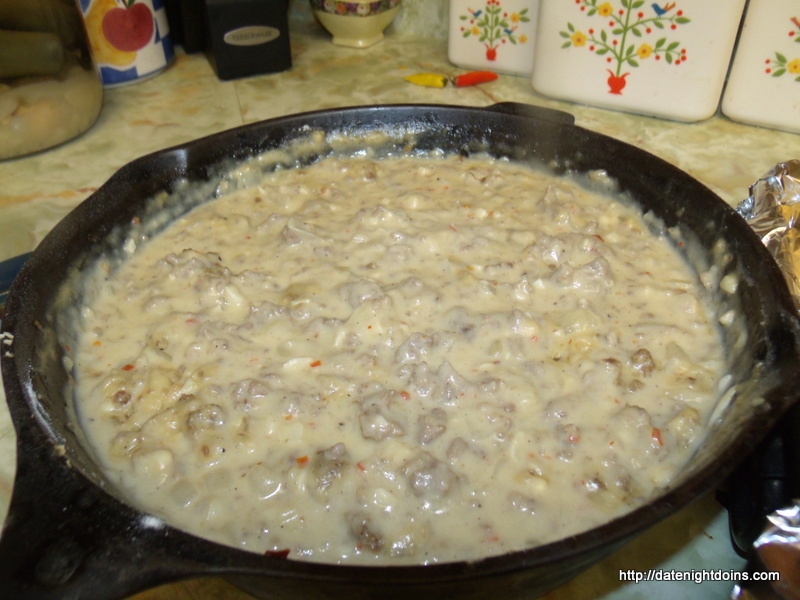 Make your sausage gravy. 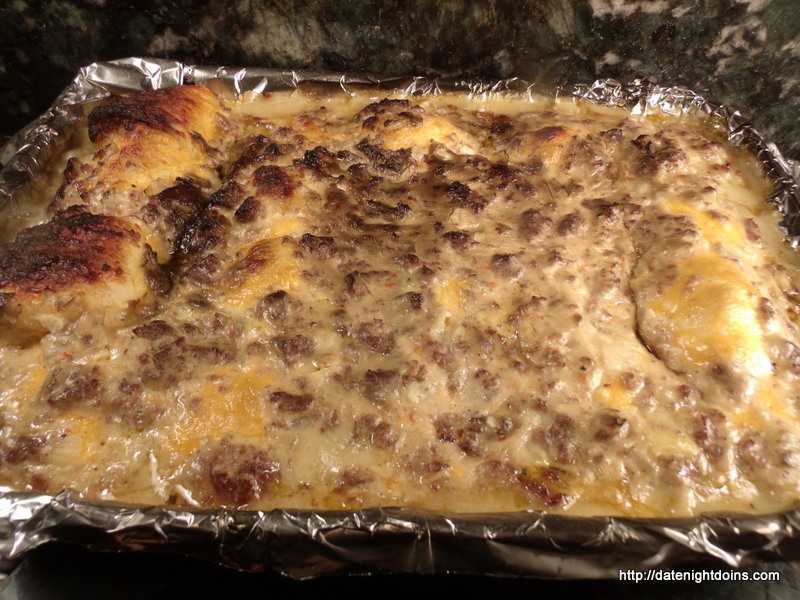 Use your own recipe or ours above and set it aside. 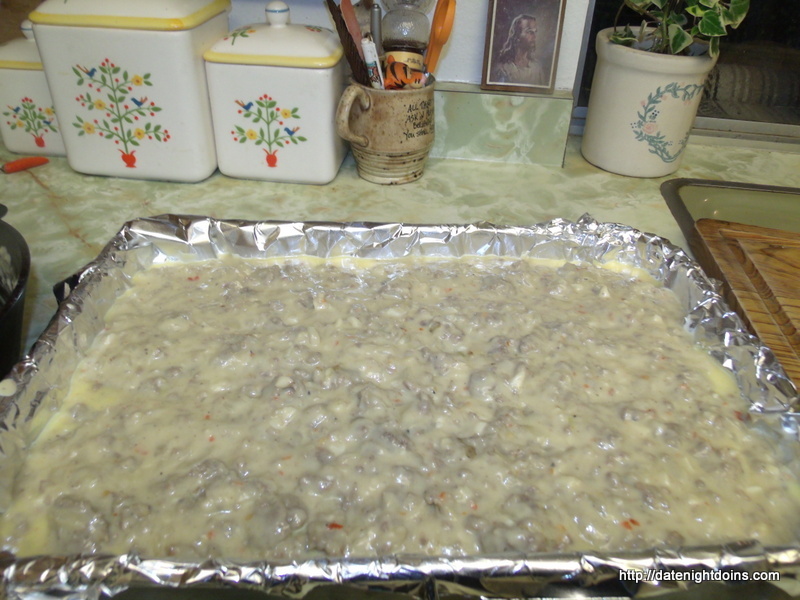 Beat the eggs with about ½ cup of milk and set aside. 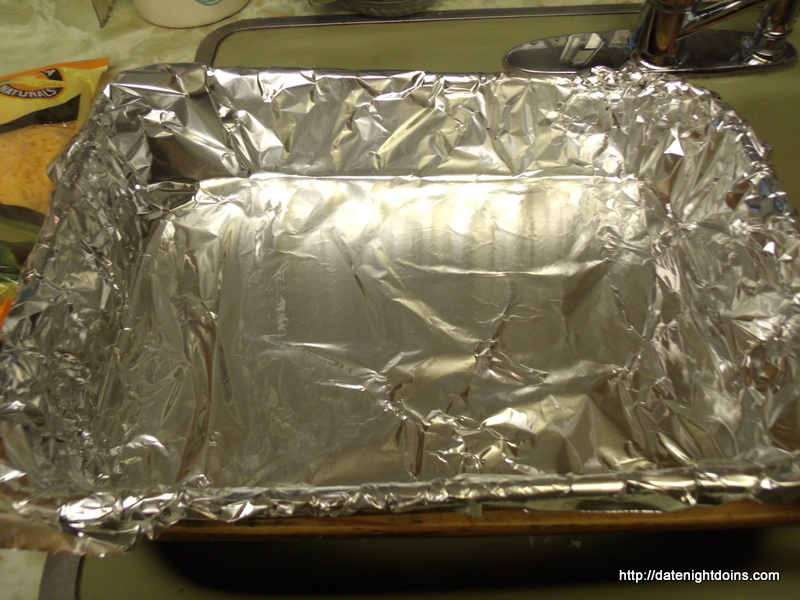 Take a 9 x 13 oven safe baking dish and line it with foil for easy clean up. Spray it with a cooking spray. 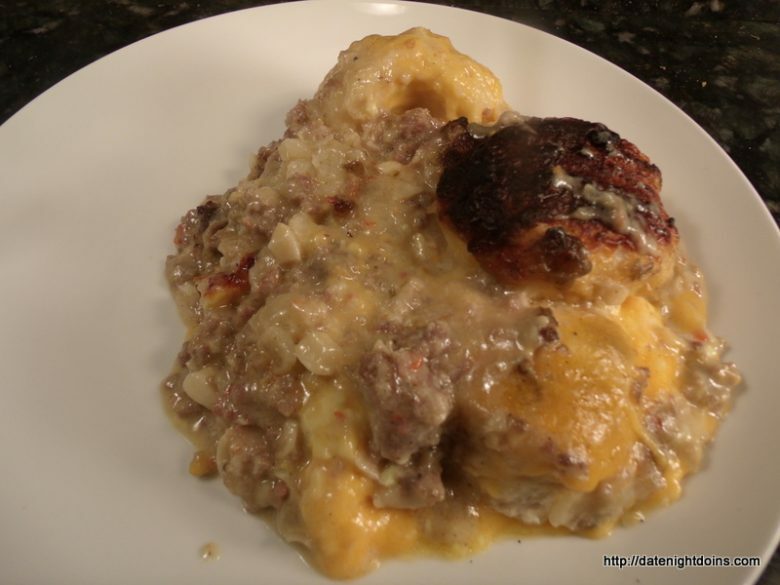 Line the bottom of your pan with the potato patties and top with the biscuits. 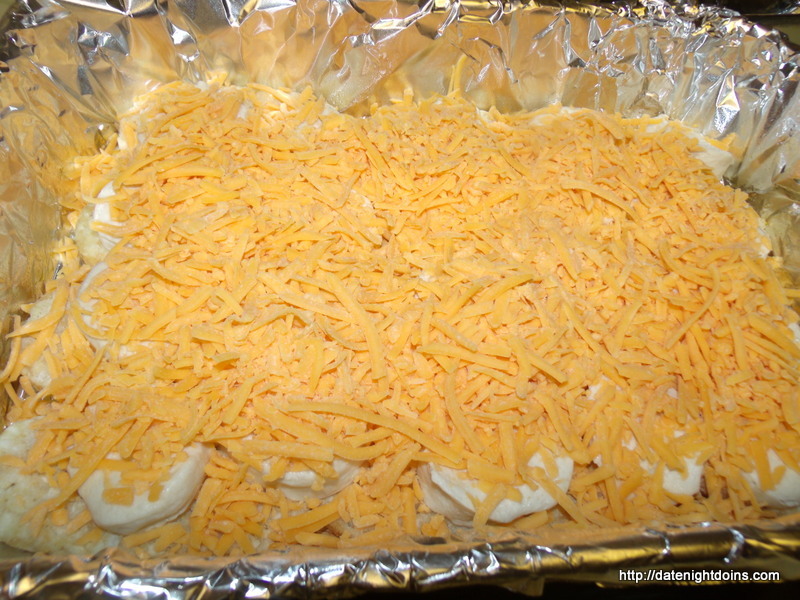 Cover them with cheese and pour the egg mix over that. 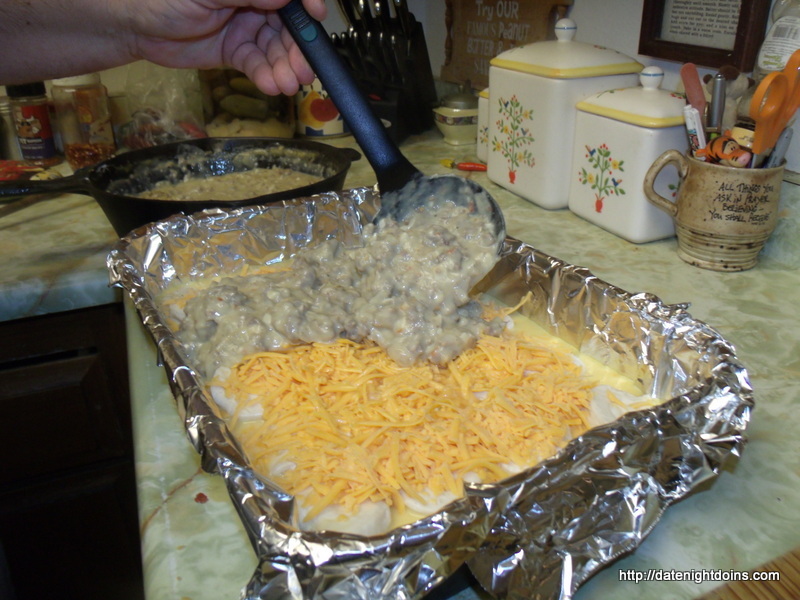 Now cover the whole thing with your sausage gravy. Awesome! You’re ready for the grill. So after the grill comes up to temp and burns clean turn it back down to 350 degrees (177c). Place everything directly onto the grill and just let it hang out in the smoke and get happy for 40 minutes or so. 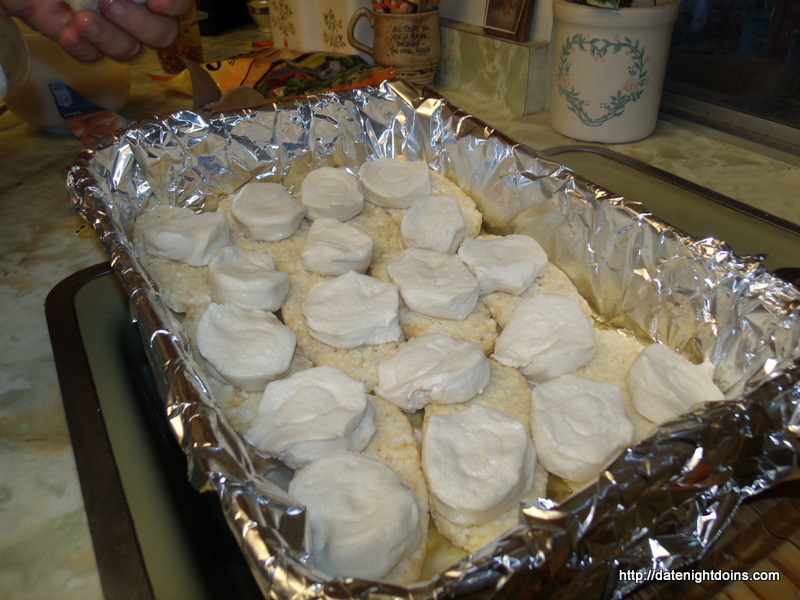 When it’s done you’ll see where the biscuits rise to the top and it browns nicely. 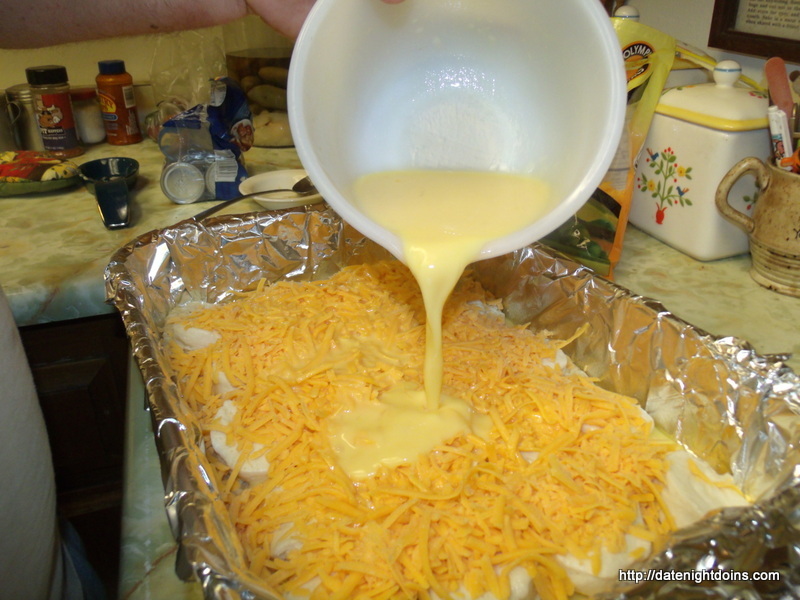 We have been getting requests for recipe conversions fot the Oven. 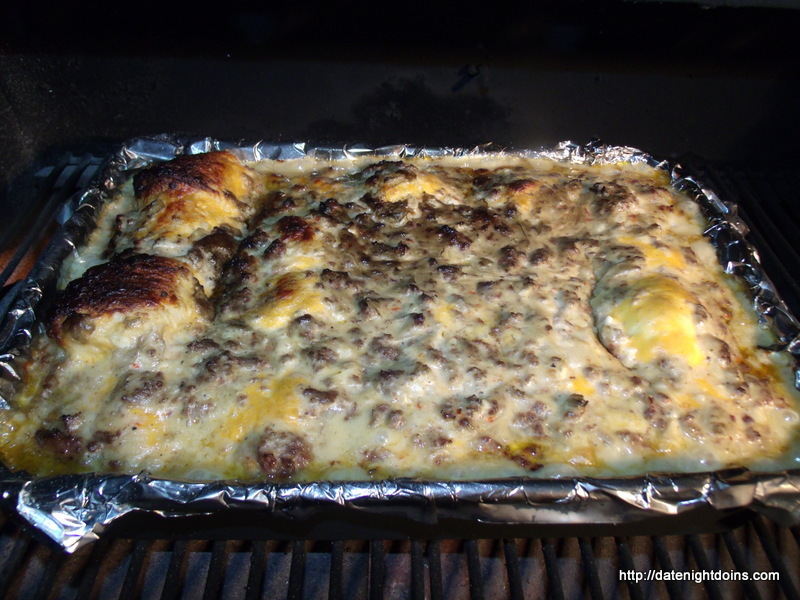 I tell folks all the time that cooking on a Wood Pellet Grill/Smoker is just as easy as cooking in your oven. Just about anyone can do it and do it well. Think about it. You set your control knob to the temp you want, put your meat in and leave it for a set time. It is the same thing, time and temperature is what it is all about. Do 40 minutes here at 350 (177c).